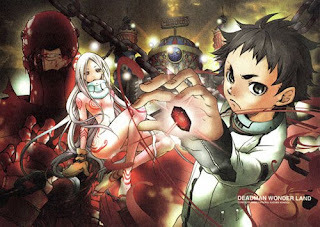 Deadman Wonderland is a high-security prison that features inmates competing in deadly games that the public can watch for entertainment. A Japanese high school student is framed for the murder of his entire class and sent to Deadman Wonderland. With death at every turn, Ganta Igarashi does whatever it takes to win and survive. 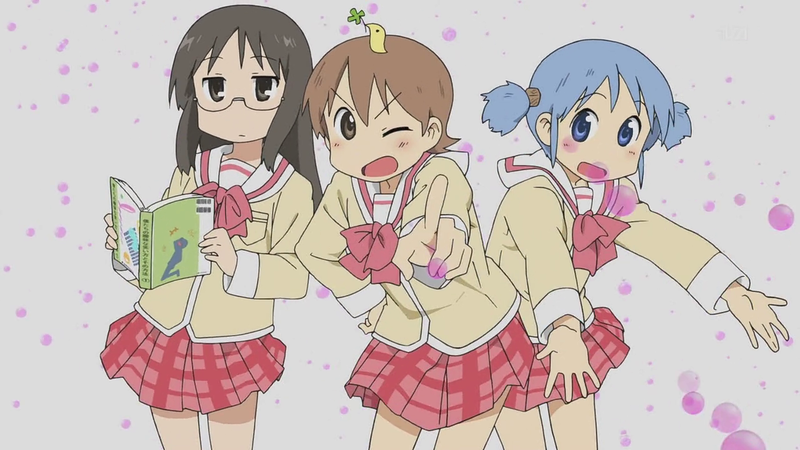 Nichijou is about cute girls doing cute things and being naive and innocent about it. The won a unanimous vote from our club during the final elimination round. 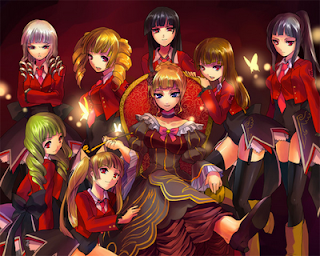 This is a moe show but far more entertaining and the animation is nicer than the standard. Each episode contains four short stories and you can jump in at any time. Umineko no Naku Koro ni translates to "When the Seagulls Cry" and is part of the Higurashi franchise. A rich family takes a vacation on a secluded island with a mansion and everything. Members of the family disappear and are found slaughtered in a cave. Now the rest of the family must find out what happened to them so they can survive! 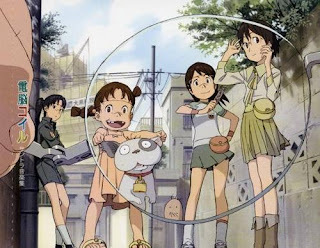 We'll be starting at episode 3 of each series on the 23rd for those that may wish to catch up. Our feature, held at the end of the meeting, will be the first three episodes of Denno Coil. Above is a clip from episode 2! As for Tiger & Bunny, we'll be watching that as a "pre-game" before the meetings so if you want to watch that, show up an hour early. We've made it through the first 15 episodes of the series.